Some foods don’t want to be squeezed as they easily lose their shape. 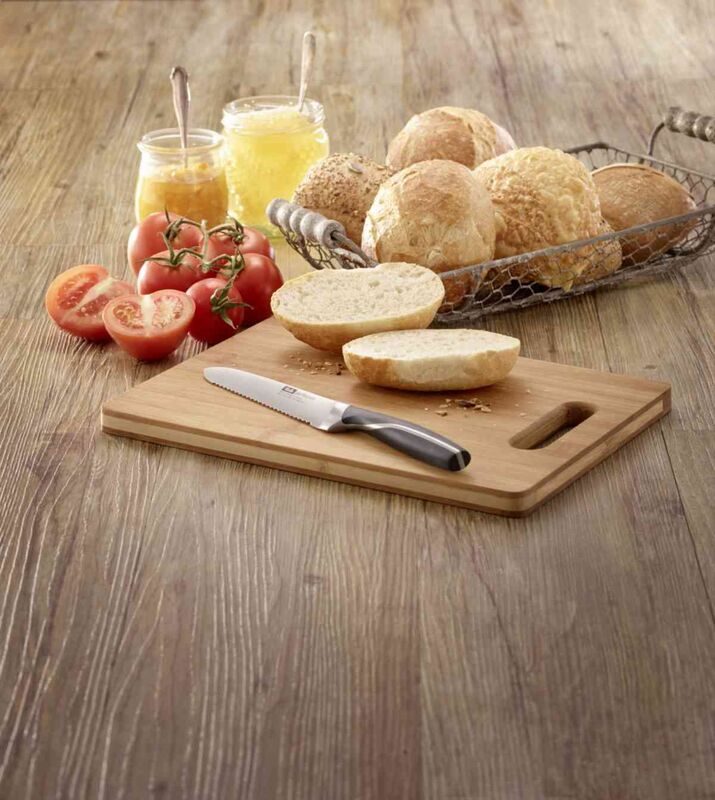 The secret of cutting them properly is smooth sawing – and a serrated kitchen knife. 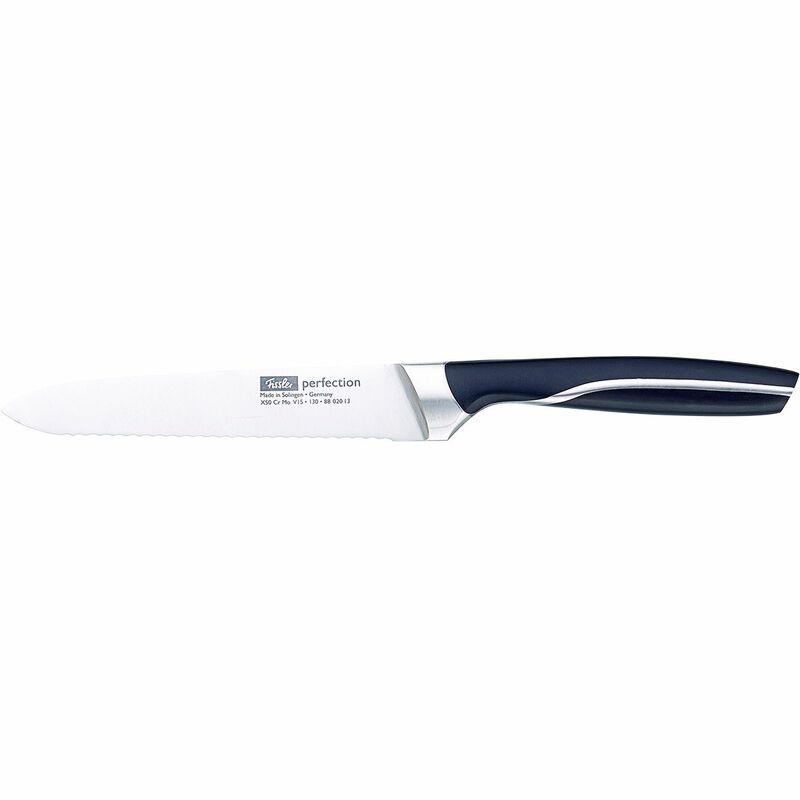 This model from the perfection knife series is equipped with a particularly fine scalloped edge. Which is why it cuts both, crispy rolls and soft tomatoes, to perfection.